One of the common urban legend that has become a “Fact” to most people in the world of paranormal research is that Thomas Edison was working on some type of device that would allow communication with the dead. The curators of the Thomas Edison National Historic Site have stated: “This seems to be another tall tale that Edison pulled on a reporter. In 1920 Edison told the reporter, B.F. Forbes, that he was working on a machine that could make contact with the spirits of the dead. Newspapers all over the world picked up this story. After a few years, Edison admitted that he had made the whole thing up. Today at Edison National Historic Site, we take care of over five million pages of documents. None of them mention such an experiment. ” They have told us at Rocky Mountain Paranormal that this is the most requested document that they do not have and has never existed. 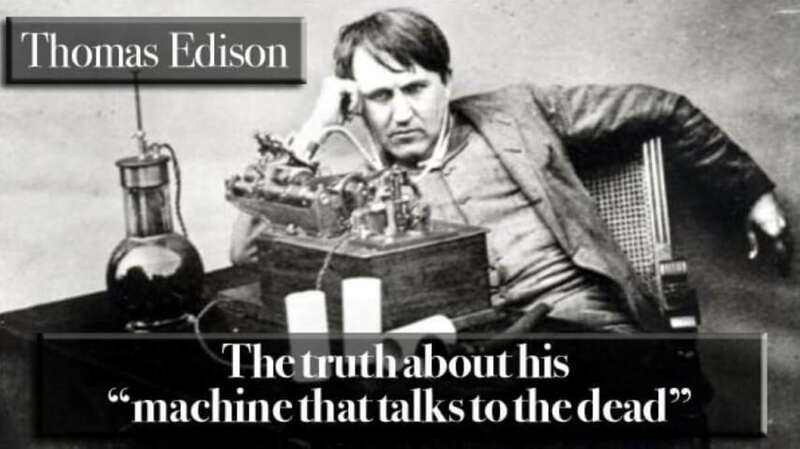 So the answer to the question “What machine was Thomas Edison working on to communicate with the dead?” can be very easily answered…… He was not. This story points out once again that people involved in paranormal research need to stop following the stories that have been told to them and actually do some research, and not rely on what other “researchers”. the survival of personality has been proved—as yet. “individual”—-the aggregate called a “chicken”s. must be a group of organisms—a fixed commune.